I have eaten the flesh of my brother and it tasted like failure. I didn’t do it just once, however. I was aware that it was wrong, I was aware that Allah disliked it and I was well aware that it could get back to the person I gossiped about, but I did it anyways. We have all been there and it would be naïve for anyone to deny it. Whether, it was for fun, defense or in heedlessness, it does happen and it does eventually hit the proverbial fan spreading discord and misunderstandings everywhere making fools of us, if not in front of people, but definitely in front of Allah SWA. Subhan’Allah. It isn’t a coincidence that this is probably one of the sins that is most spoken about in the Quran, the Ahadith and the work of the rightly guided Scholars of Islam. 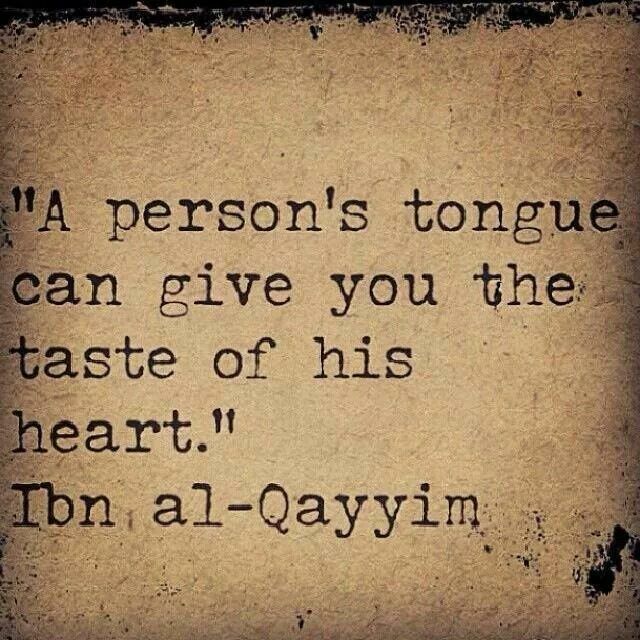 This can be explained by discussing the categories of backbiting. Yes, there isn’t just one. Some of them are downright blatant, but some are so undetectable that they almost border on justified…almost. This is just plain old nasty, mean and cold-hearted gossip. When you just want to tear a person down and hurt them for one reason or another (sometimes no reason at all). 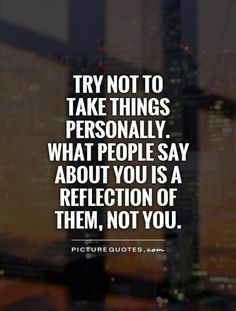 Spreading rumors, true or untrue, that will bring a person’s reputation or character into question just for your own self-gratification is just plain malicious. This is a definite sign that serious psychological issues and sociopathic tendencies are present. This person definitely needs to check herself instead of continuing this unhealthy behavior. What would we think of someone who caused people physical pain for pleasure? Giving people emotional pain for a little excitement is just as devastating, if not worse. Wounds heal, but feelings are not so quick to repair. If you feel like you fit into this category, it would probably be a good idea to seek help and get yourself into a better mental state of mind. This one is pretty self-explanatory. This gossip occurs when the perpetrator is a self-worshipper who believes they are better than their victims. 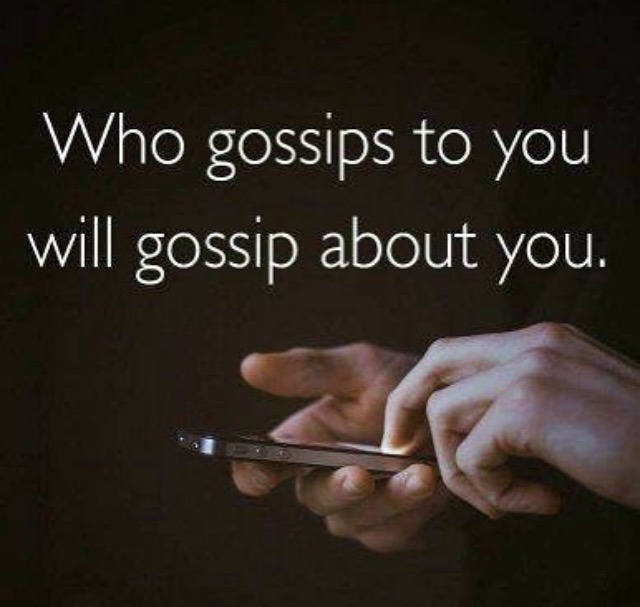 This gossip usually stems from jealousy, egocentric tendencies and lack of empathy. Unfortunately, we see this attitude more and more these days as girls are raised up with “princess” mentalities where they are taught to constantly compete with one another over the most mundane things such as wealth, beauty and popularity. This gossip is not so easy to get over, as it usually stems from a deeper place of arrogance and ruthlessness. This person needs to be knocked off their pedestal, before causing some serious harm. Humbling themselves by thinking of others in a positive light would be a good start. The ego can be tamed, begin by concentrating on the plight of the less fortunate and appreciate all that Allah has blessed you with. Here today, gone tomorrow…you just never know. Now, we’re getting juicy…or not. Whether it’s family, friends, institutions or governments, this is going to ring true for so many people on so many levels. This backbiting usually occurs when we have low self-esteem and feel threatened by the success of others. Exposing weakness, exaggerating stories, making false assumptions just to overtake someone or bring down their position or status is not only unfair, but also truly sinister. In this highly competitive world, it is very easy to get tangled up in this web of lies and deception, but we must beware of the decisions we make and the words that leave our lips. We should be very aware of the inevitable rat race lurking around every corner, which is always looking for more runners to join in…more victims. In one way or another we get pulled into it and with too many runners on the track, we end up having to trip and push our competition out of the way to reach the finish line. But, the problem is that we will never reach it. It’s like running on a treadmill that never stops. The belt just keeps spinning and spinning while we struggle to keep up on the incline, but we end up going no where fast. This is what political backbiting will do: get you nowhere fast. Please check the cure below for tips on how to avoid this pull, Insha’Allah. Otherwise known as “verbal diarrhea”. The above Hadith should be given special attention and care as it is an all too often repeated sin. Sometimes, we don’t purposely say something, but it kind of just slips out, perhaps because others are also divulging or we come under the influence of the environment we are in. This can be very dangerous, because we can fall into it without meaning to. How many times has it happened that we revealed something about ourselves or someone else that we weren’t supposed to say? Then upon realizing, we begged the listener not to tell anyone else…which usually ends up backfiring, because that person will do the exact opposite. This can break friendships, work relationships and even marriages. Sometimes to fit in, show loyalty or just to be “cool” we seem to speak without thinking, but we must really be careful. 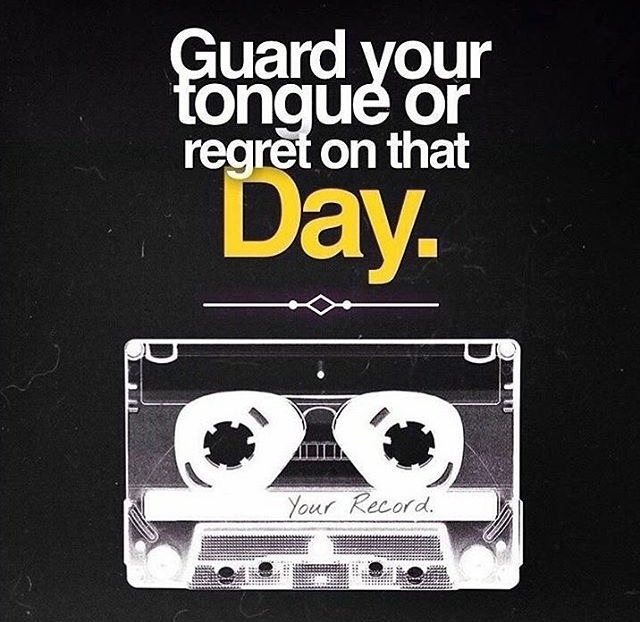 It is very important to keep control over our tongues as much as any other organ in our bodies. It can make you or break you. We should always speak slowly, clearly and thoughtfully. Also known as Angry Gossip! This is my category. “Hello, this is my first Backbiters Anonymous meeting and I am a Defensive Gossiper.” Wow. Feels good to finally have that off my chest. In all seriousness, many of us fall into this category. Before coming to the Deen, I was not much for gossip, mostly, because I was lost in my own little world where my ego wouldn’t let me give anyone that much importance. After the Deen entered the scene, well, that is a completely different picture. As the ego began to settle, I really started feeling hurt by what people said and did all the time. As the hard heart softened, it often opened up to a barrage of pain that had never penetrated the walls that I had built around it before. People were constantly coming to me with “he said, she said” scenarios and I was always being put on the defensive. I realize now that I was letting all those things get to me. However, at the time there was just so much pain and anger, because the things that were said were untrue or completely misconstrued. Quite often the conveyor of the information only exasperated the situation by putting on a show of how awful of a smear campaign it was and how many of my “so-called” friends were there to witness my humiliation in giddy silence. So, instead of being classy and staying humble, I would roll up my sleeves and get in there as well. I would literally begin pinpointing things that were wrong with the gossiper’s argument against me at length and become an ugly reflection of them. Instead of being happy that someone was speaking about me behind my back and giving me their rewards, I was not only returning those rewards, but also giving my own good deeds away. The very deeds I was working so hard for, which had triggered the maligning gossip in the first place by rubbing some people the wrong way (I discovered this later on, once I settled down and began to precieve the situation as it was and not as my anger dictated). It took a while, but reality finally caught up with me and I realized I couldn’t please Allah and everyone else at the same time. It had to be the One or the others. My speaking for justice and defending my dignity did me no good except to have malicious people talk about me more and twist my words, so to enjoy my humiliation and pain, Subhan’Allah. Welcome to Dunya, where most times silence is golden. I have learned some beautiful lessons through these experiences, Alhamdulillah, which I will share at the end of this article, Insha’Allah. She’s not naive, she’s just careless. This one is tough to detect, as it seems to be the kind of gossip that doesn’t sound like gossip. Mindlessly making fun of someone over silly mundane things, calling someone by crude nicknames (“Fatty” is not a good replacement for the beautiful “Fatimah”) or saying something about someone that would have hurt them if they were within earshot isn’t acceptable. On the other hand, it could be that you are just discussing another friend’s dress and how much she paid for it or even who has proposed to her – just seems like this is just regular, every day kind of small talk, right? The issue is that we are discussing someone and their business in their absence. This is talk that is useless and blatantly not our business. We have to be really careful of how we conduct ourselves. Small talk can lead to very big talk and even treading near what kind of, sort of, sounds like gossip is very dangerous. My advice: Mind your own business…talk about yourself and your business (keep that limited as well, Evil Eye is real people!). Allah knows, if we concentrated more on what we were doing, perhaps I would not have found the need to write this article in the first place. Subhan’Allah. This is a two parter. First, we must be careful about spreading gossip or slander that we have heard or someone has shared with us. If someone attempts to tell us something like this, we must decline and not listen. It’s not our business and no one else’s either. 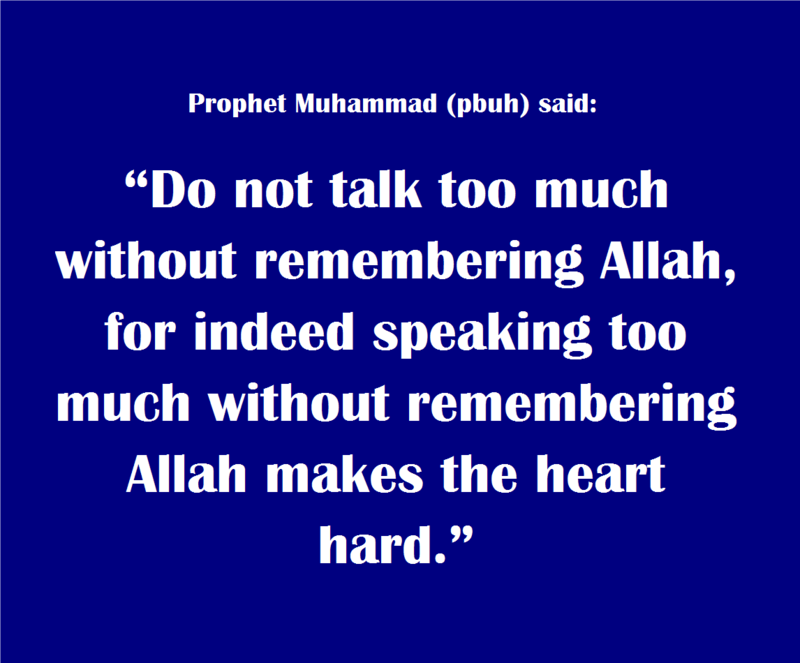 A Muslim does not indulge in hearsay and does not spread it. Telling someone what someone has said about them is also dangerous ground to tread on. We wouldn’t want to responsible for broken familial relationships or feuds between friends over something we said. If you know that a person is acting hypocritically or two faced, you need to warn them respectfully and keep your distance if they refuse to cease and desist (see image). On the other hand, you should also advise your family and friends (especially those that people tend to gossip about) not to indulge personal information to ANYONE, without using any specific names or occasions. Pray that Allah helps them all to understand, but do not speak heedlessly or with contempt. Check out the last paragraph of this article to find out when it is okay for you speak of such things. For the second part, let me explain…So, you’re sitting with a bunch of girlfriends and chatting away when suddenly two of them begin to backbite an absent friend. 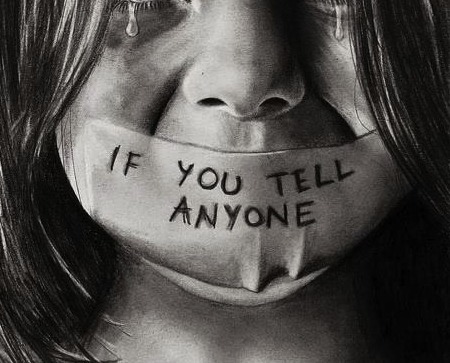 You know it’s wrong and that they should stop, but you remain silent and in their company. You, my friend, have just become a party to that gossip. You are a second hand gossiper. You not only kept quite while someone else was being slandered, but you remained to hear all the dirty details. If anyone were to disclose this backbiting, you would be counted as someone who was present. Your silence and presence mark your participation even if you think it’s wrong or disagree with what was said. We must always stand up for justice and spread good wherever we may be, even if it is with our closest family and friends. The best solution is to praise the victim of the gossip to help steer the conversation in the right direction and if that’s not possible ask for it to stop or leave the gathering so that you will not be a party to the sin of gossip and the anger of Allah (SWA). There is another form of backbiting that is considered to be the most heinous of all. That is the sin of slandering Allah, His Book or His Messengers (AS)! Anyone who mocks or treats the sacred as jest should fear the wrath of Allah. This includes and is not limited to sacred sites, hijab, rituals and rights, the Hereafter, heaven, hell and even the rightly guided men and women, such as the Sahabah (the Family and Companions of the Prophet Muhammad (SAW), RA). “If you ask them (the hypocrites about this), they declare: ‘We were only talking idly and joking.’ Say: ‘Was it at Allah, and His Ayaat (proofs, evidences, verses, lessons, signs, revelations, etc.) and His Messenger that you were mocking? This doesn’t just go for Islam, however, Allah also asks us not to do this about any other religion, as in turn the followers of that religion could mock and speak against ours. It is also good to note that if we find ourselves in this situation where people we are with are committing this crime, then we need to either speak up or leave. Muslims with any love for Allah, Islam, the Prophet Muhammad (SAW) cannot and should not tolerate such rhetoric let alone sit and listen to it. It isn’t funny, it isn’t harmless…It’s just plain wrong and by sitting and not doing anything we encourage the speaker to continue with this shameless and hurtful behaviour. Our silence only shows weakness and conformity. Subhan’Allah. Would we sit and tolerate such words about our Mother, Father or family? I think not! A few tips on how we can overcome this unbecoming habit and how to fix the broken. You are a Muslim! Have confidence in that and keep your intentions straight. Everything you say and do should be with the intent to please Allah (SWA) and nothing else. 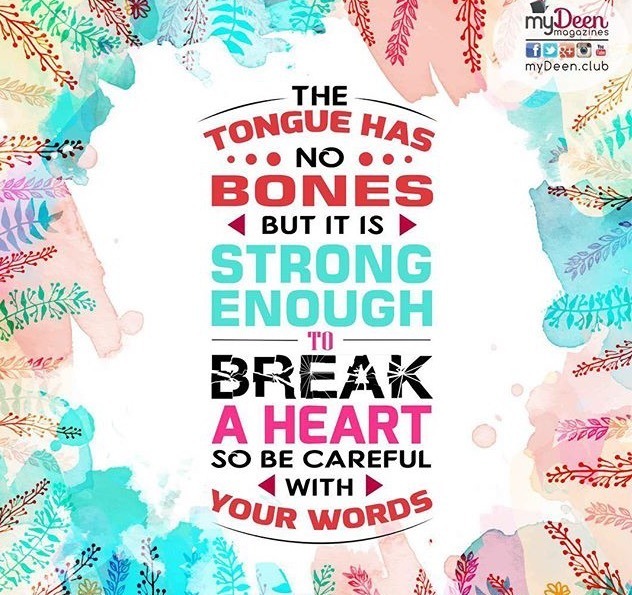 A constant reassessment of the intent of your words and actions will help you to maximize your good deeds and minimize shameful deeds. Educate yourself with the Quran and Sunnah as well as the Seerah of the Prophet Muhammad (SAW). This is armor that every Muslim should prepare to navigate the landscape of this very chaotic and ever-changing Dunya (world). If we really live this, we won’t have time for anything else, Subhan’Allah. What does Allah want us to do? How does He want us to react? How should we behave and speak? All the answers to these questions have been given. We just have to know where to look. Above all, remember the day when a mother, father, brother, sister, husband or wife will not be able to give one another their good deeds to avoid punishment no matter how much love they share, but a wrongdoer will have to give his or her good deeds to all those that they wronged…just imagine it. Is it really worth it? Do you want to benefit someone who you obviously don’t respect or care for? Don’t just act without thinking first. The Prophet Muhammad (SAW) used to take his time when speaking and acting to analyze each and every word and act, so to stay true to his Faith and Allah SWA. This small act of self-analysis while holding yourself back will do wonders for your social interactions and help you to speak with intellect, have ideal manners and make you more patient, Insha’Allah. Perhaps the gossip is not coming from you, perhaps it is coming from someone else about you. Before you react, assess yourself and your behavior. Could it be that you did or said something to rub someone the wrong way? Is there a way that you can correct this behavior or cycle of behavior before it gets out of hand? Be open-minded and openhearted. Don’t react instantly, control your anger and pain, think about what was said or done, then react accordingly. 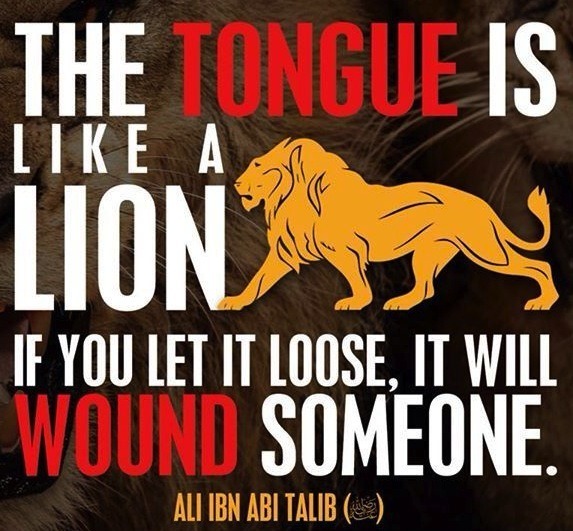 Remember: remain humble and classy, rise above, keep positive and control your tongue. If you can do these things, you will live without guilt and be the winner all around in the end, especially in the eyes of Allah, Insha’Allah. LEARN, CHANGE, REPENT, GROW AND MOVE ON. Allah created you with a clean and beautiful fitra (nature). The experiences of life and whom we encounter help to shape our behavior. If we let the negativity get to us and react in the same manner, then we are harming our souls and blurring the line between right and wrong. Don’t hate yourself in such a way as to ruin your Afterlife for a few snide remarks. It’s not worth it! Love yourself and know that you are deserving of a good life in this world and an even better Afterlife. Don’t wreck yourself…Elevate yourself. If you have nothing good to say, then don’t say anything at all. If you must come to someone’s defense then do it without insult or injury. If you have a problem with someone, then do the right thing and approach this person personally in private if it must be addressed. It isn’t necessary to speak about them behind their back and give your good deeds to them and collect bad deeds for yourself. One sinful word against someone could tip the scales against you on the Day of Judgment. So beware! 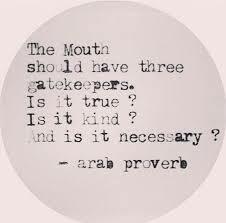 Either say it to the person’s face if it’s absolutely necessary or stay quiet and stay out of it. 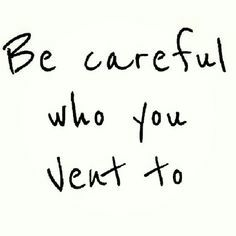 Remove yourself from the Toxic Environment in which you seem to gossip. Duck out of occasions or social situations that seem to amplify your need to speak unnecessarily or malign people. If you really study your behavior, especially in social situations, it will give you great insight into the reasons for these bad habits (this is not limited to just backbiting or slandering). You will notice that there are a certain group of people or occasions in which you seem to repeat this behavior and it is vital to break that pattern. Avoid those gatherings and groups socially. Believe me, it worked for me and it will work for you too, Insha’Allah. If you find yourself in a situation where you slip, then make sincere Tauba to Allah and apologize to the person who you spoke about personally, if possible. If you believe that this disclosure may make the situation worse, then use your intellect and keep quiet. Make sincere Tauba to Allah SWA (recognize the sin, ask Allah to forgive you and try to never to it again). This may be the best advice. Not everything is your business or needs your input. If you can help to guide someone in need, without getting too personal, then you should take the opportunity to spread the message of Islam, but we should be extremely careful. Do not let yourself get into situations where you will have to speak ill of someone or about someone’s personal issues or failures. We should work on building one another up, not look for ways to tear one another down, Insha’Allah. 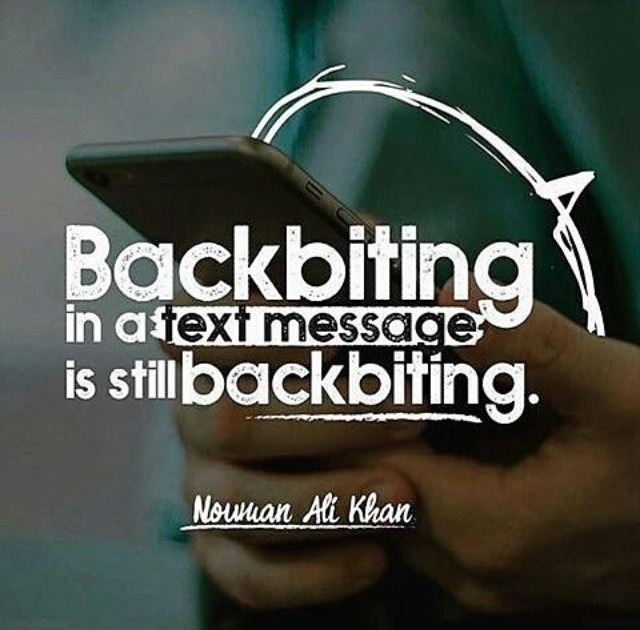 People who have too much time on their hands with nothing to occupy it seem to be the ones that end up indulging in backbiting and slandering most of the time. I think it’s a good saying that states that: “The idle mind is the Devil’s playground”. Think about yourself and your own affairs. Keep yourself busy with studying Islam, keeping healthy relations with your family, keeping your home organized and clean, and take up some appropriate hobbies to occupy your time. Believe me, at the end of it all, you will find that you will not have time to think about what others are doing and saying. Be very safe about the things that you consume and observe, many times the things we watch and listen to have a direct impact on our personalities and behavior. Nothing is so important that we can sacrifice our reputations and Afterlife for. To end, it is important to point out that there are times when we should speak up and silence is not the answer. 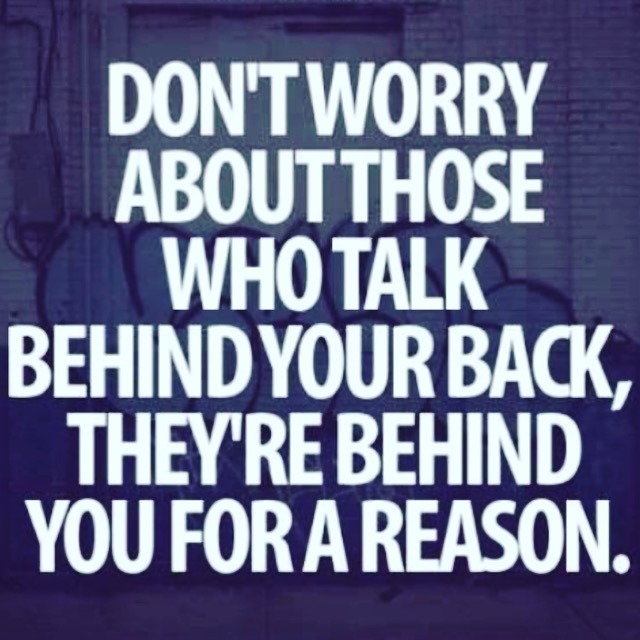 So what is not backbiting/slandering when speaking behind someone’s back? These are in times when a life is in danger (this includes abusive relationships where there is always risk of violent escalation), when a relationship is in danger of being destroyed (specifically a marriage) or to solve a serious issue between two parties (such as bad blood between family and friends). If there is something that can be added to a situation to better it, then we should speak up. If a man or woman need some advice about their relationship and some details have to be revealed, then they should speak up and seek mediation from a reliable, unbiased and preferably Islam focused source (this doesn’t mean a large group of people, multiple people or just to defame your spouse or others, Allah is All Hearing and All Seeing). Keeping silent about verbal, physical and sexual abuse, unfaithfulness and crime is a too often seen occurrence in our communities and deserves it’s own post, Insha’Allah. Many people end up hurt emotionally and physically, because of fear and ignorance or not knowing the difference between backbiting and speaking for justice. 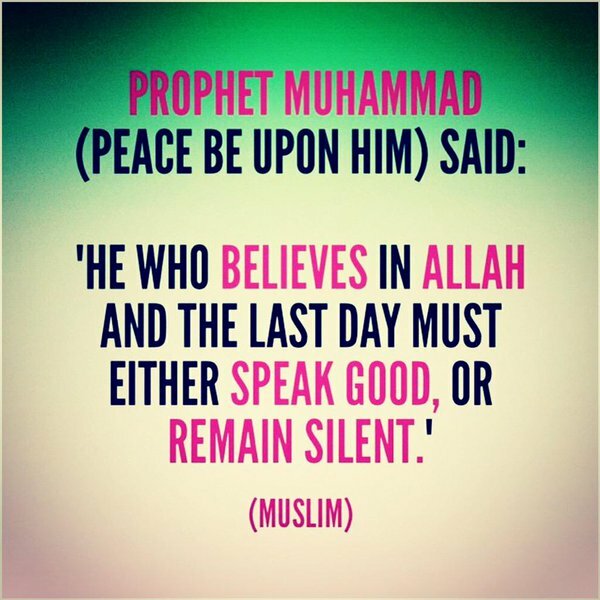 We are Muslims and should always speak for justice, whether for ourselves or for someone else. However, we must be very careful and use extreme caution as to who we speak with and how we speak. Use the Quran and the Sunnah as a guide or seek out someone with knowledge, Insha’Allah. This entry was posted in Diary of a Slave, Help Yourself, Uncategorized and tagged adversity, Allah, backbiting, believer, community, compassion, courage, defense, God, gossip, gossipgirl, Islam, love, masjid, mean, Muhammad (PBUH), Muslim, muslimah, Muslims, silence, slandering, spirit, steadfast, truth, ummah. Bookmark the permalink.